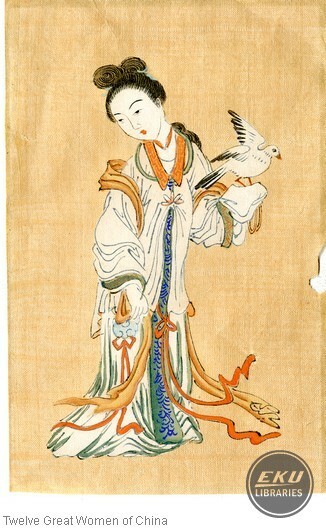 This collection consists of twelve ink wash on silk paintings of Chinese women and was a gift to the Eastern Alumni Office from Kuo Chou Wu. 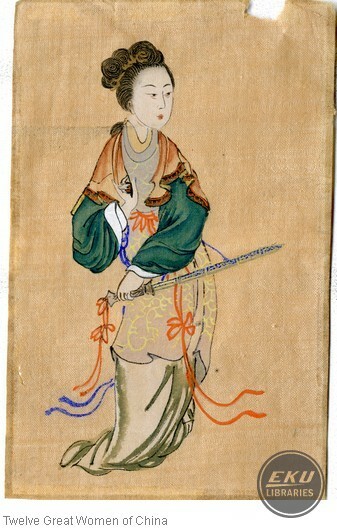 The name of each woman is written on the back in Chinese. 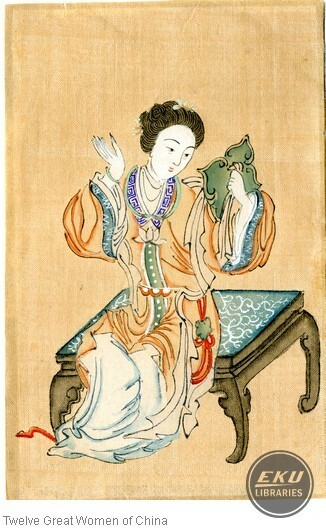 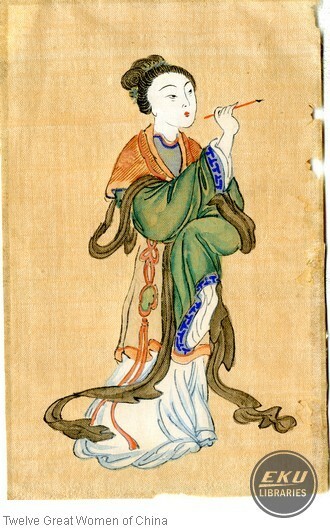 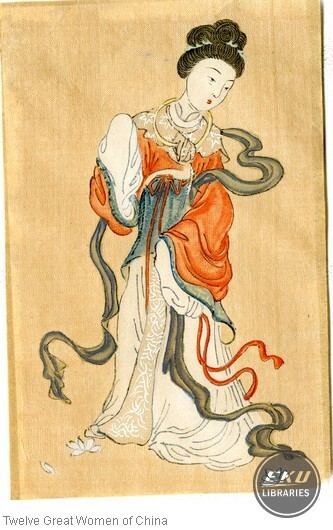 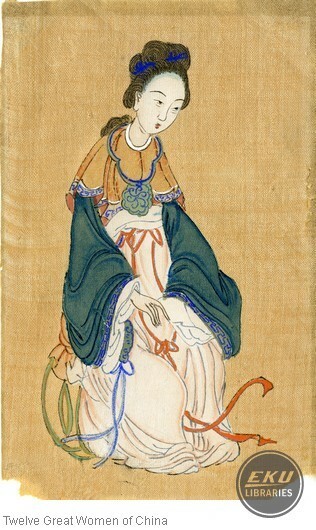 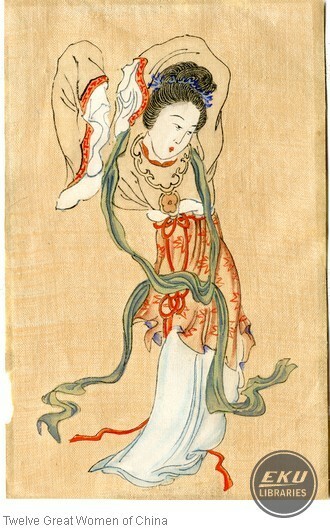 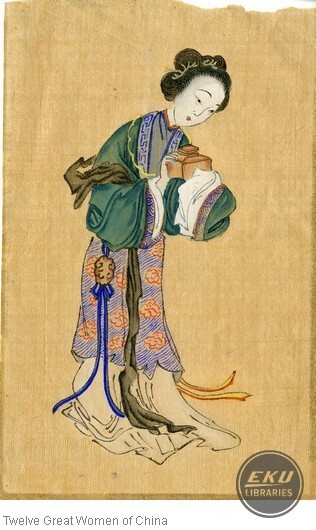 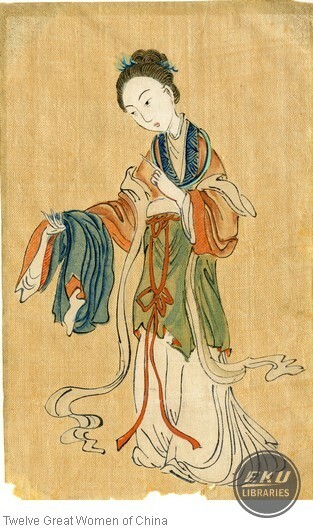 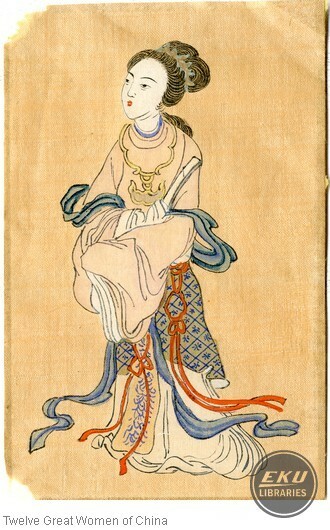 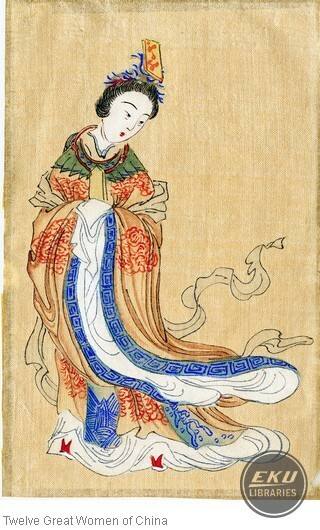 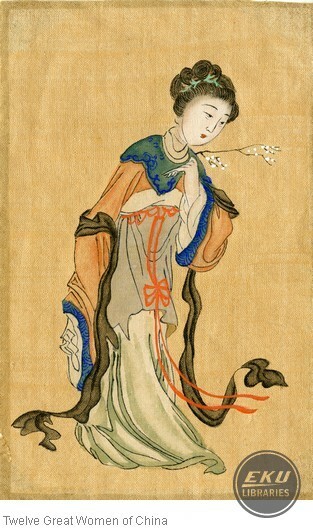 These paintings are copies of the pen and ink drawings from Baimei Xinyong Tuzhuan (One Hundred Beauties in new poems and pictures) by Yan Xiyuan.